PAX East was a Blast! I’m writing this blog post from an airplane, traveling back from Boston. We’re still reeling from an amazing first trip to PAX East. We’ve presented at PAX South and PAX West each twice now, but since PAX East is across the country from our home base in Seattle, it took a few years to get us out here. We had a blast! Our panel was on Saturday at noon. 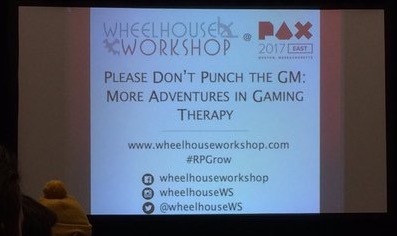 We gave the same talk we gave last weekend at Emerald City Comicon and earlier this year at PAX East, about how we got started using role-playing games in our social skills groups, who else is doing similar work, and where the field of applied RPGs is headed in the next 5-10 years. At around 400 people, it was our largest audience yet! 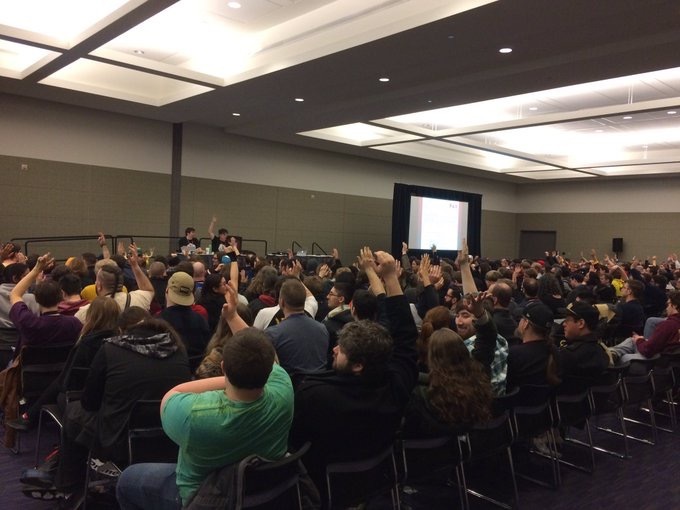 At one point in the talk, we ask the audience to raise a hand if they are interested in using role-playing games in therapy, education, or for community enrichment. We were so happy to see so many hands go up. We were lucky to have been able to enjoy the rest of PAX before and after our panel. We had the pleasure to cross paths with Ashley Brandin again, who gave a great talk about the use of games in education and what makes games compelling for educators. There’s more to educational gaming than the "edu-tainment" games we grew up with! 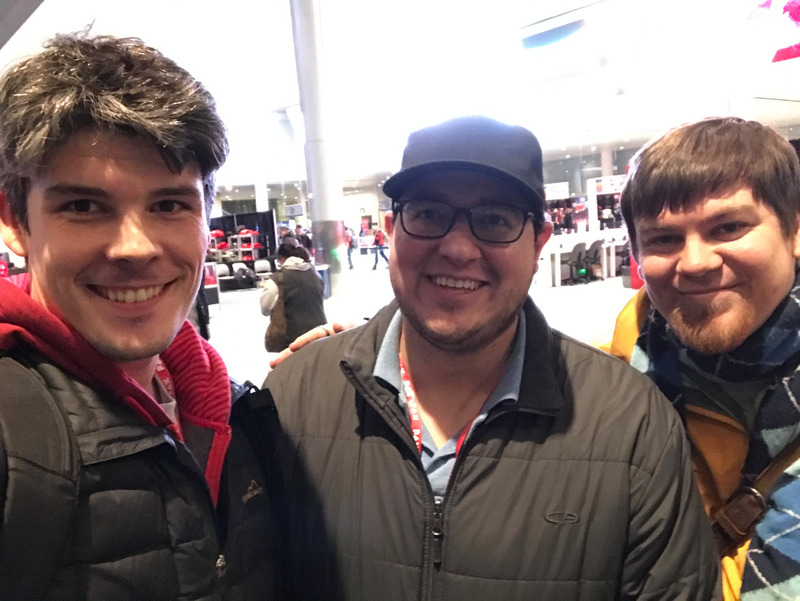 We’ve been on Josué Cardona’s Podcast, and have kept in touch with him electronically over the last few years, but finally this time had the chance to meet in person. He’s an inspiring guy! At our talk we mentioned several other folks who are also using role-playing games in therapy, or have contributed to the field. If you came to our talk, please share your thoughts! We based this talk on a question we received last year, and if there’s something you’d like us to talk about next year, please let us know! Join our newsletter to get updates about what we’re up to and to learn about training opportunities and group openings.